An asbestos-free dry mix to which water is added and then mixed like plaster. When set, the mortar is load bearing. It can be drilled with wood bits to allow the installation of services. 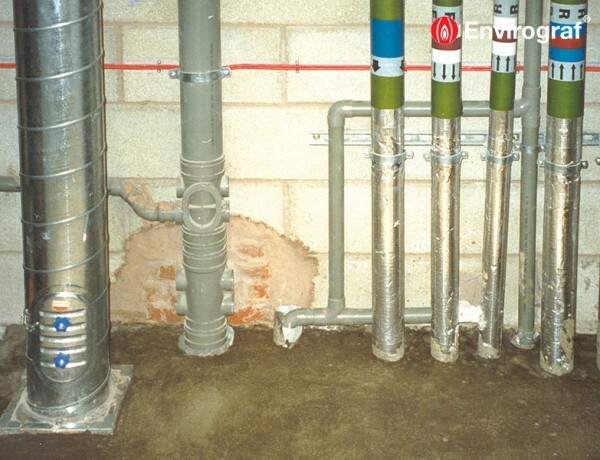 Used in conjunction with either product 4 or 5, the mortar provides a permanent fire stopping solution for load bearing floors, walls and ceilings. float. 25 kg bag will fill approx. 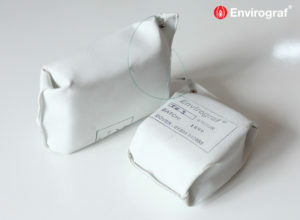 8600 cm³ or 2 bags will fill 0.83 m² to depth of 25 mm. opening to the required depth. Tested to BS476 Part 22 (1987) at 25mm thickness. 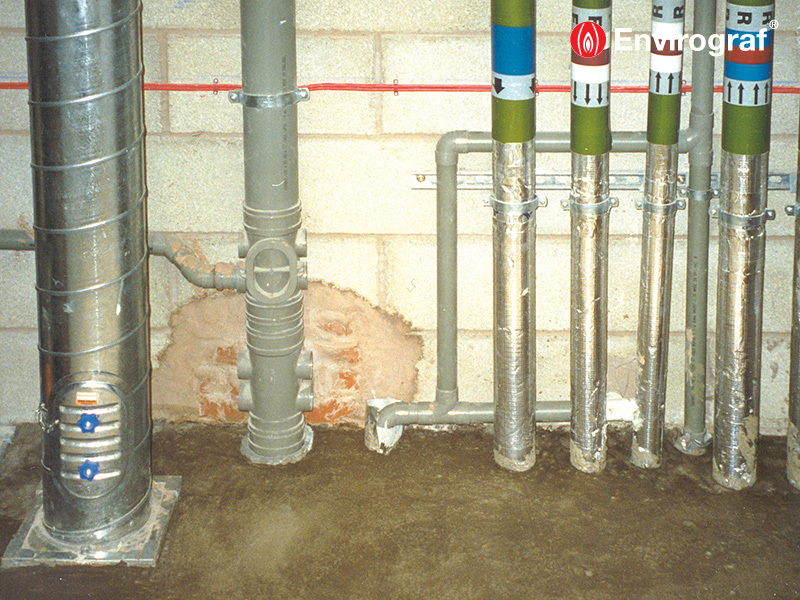 There was no loss of integrity to the slab itself and 240 minutes insulation was achieved.